We’re pleased to announce the return of our popular quiz & chips night on Saturday 24th February 2018! Doors open from 7pm with the quiz starting at 7.30pm. There will be a fully licensed bar and food will be served at 9pm. Entry is open to teams of 4 to 6 and tickets are just £6.50 per person (including food) + one raffle prize per team. To enter, just complete the entry form (download button below) and either print and return to us or send direct by email. 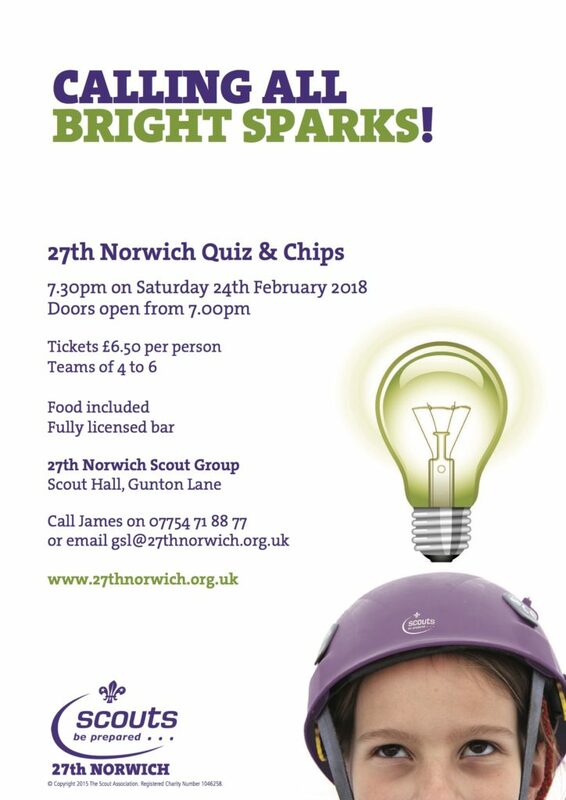 Entries close on Wednesday 21st February 2018 with entry fees due on the night. Download the form, fill out the details, save the document and email it to us.